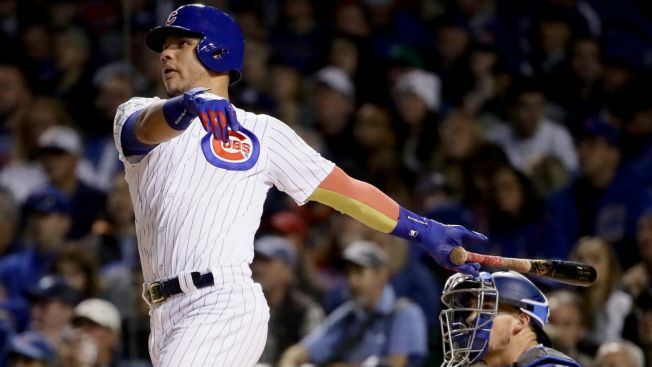 The Chicago Cubs have plenty of star power at their convention this weekend, but it can be argued that catcher Willson Contreras has stolen the show. During a panel discussion on Saturday afternoon featuring numerous Cubs stars, Contreras revealed what he said to Jon Lester before the pitcher picked off Cardinals slugger Tommy Pham at first base. “I went out there and told him ‘hey mother------ throw it to ----ing first base,’” Contreras said, sending his teammates into fits of laughter. The play became famous because of Lester’s widely panned inability to throw to first base. With Pham leading off the bag, Lester actually managed to throw the ball over, getting the slugger out and delighting the crowd at Wrigley Field. Contreras also made waves with his comments about Cardinals catcher Yadier Molina and San Francisco Giants star Buster Posey. Contreras played a big role in the Cubs’ 2016 World Series championship, and had a great follow-up season, with 21 home runs and 74 RBI in an injury-shortened campaign.